Wow! 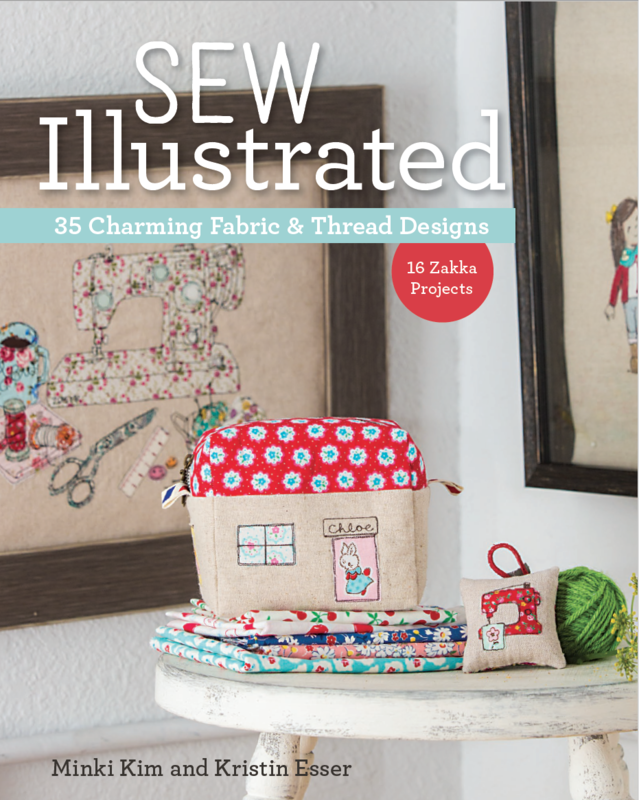 What an amazing week it has been on the Sew Illustrated Blog Tour! 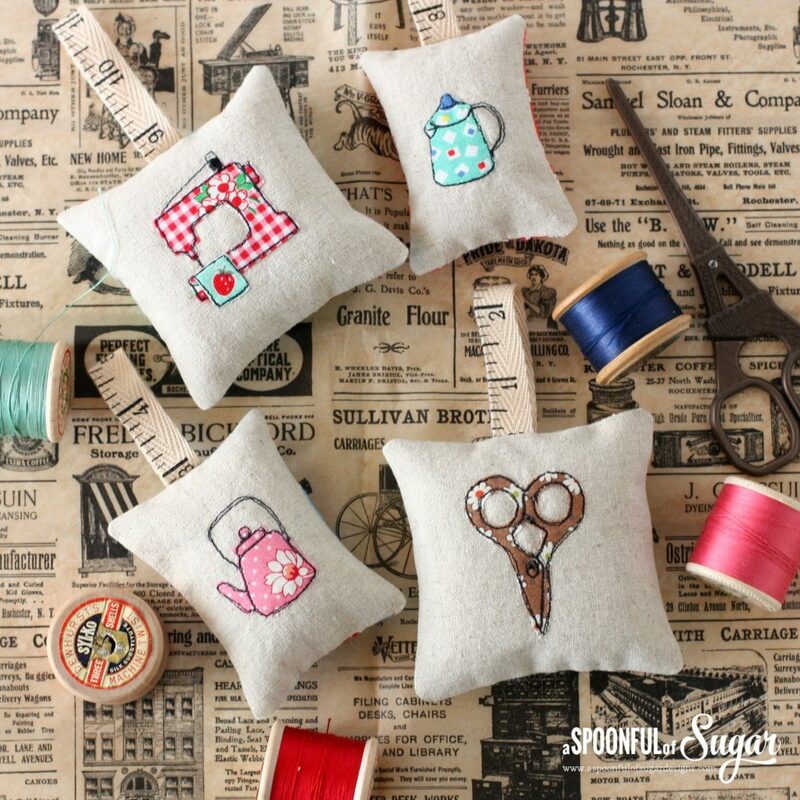 We have had six amazingly talented makers who have stitched up a wonderful variety of projects from Sew Illustrated. 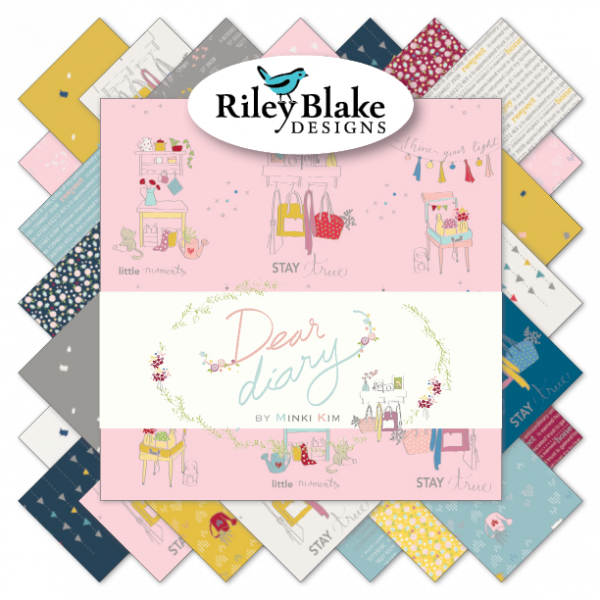 First up there was the talented Amy Sinibaldi over at nana company. 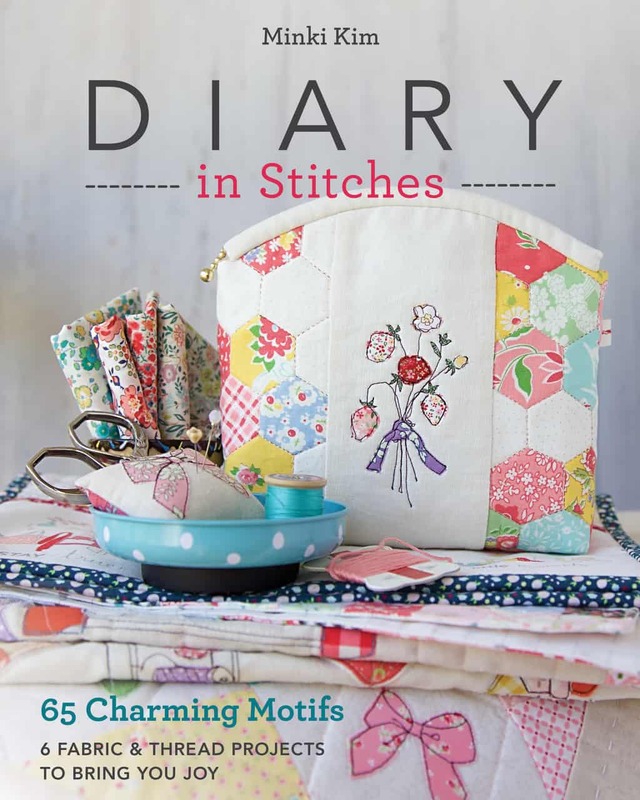 I’m sure you all know Amy, the author behind the popular book Sweetly Stitched Handmades, and the fabric designer of the gorgeous lines Paperie and Playground from AGF. 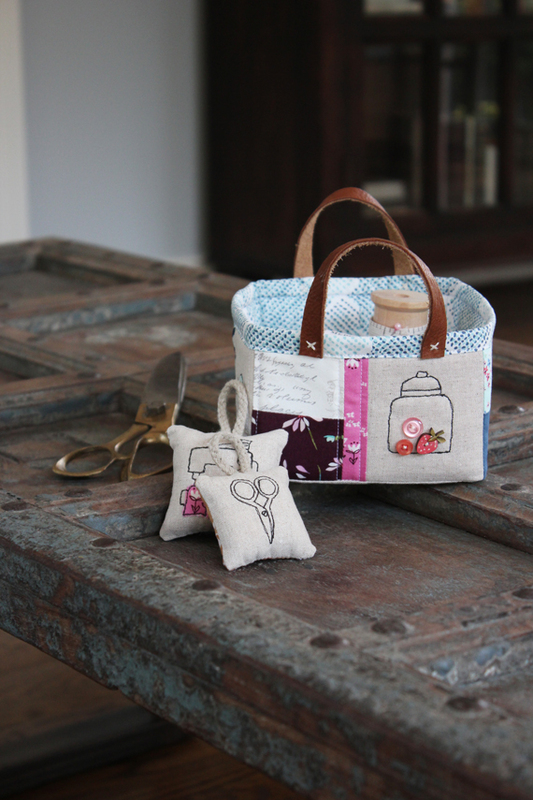 Her pincushions and notions basket are so adorable in her Playground fabric line. Amy made me this postcard wall pocket and tea coaster. I recreated my version of wall pocket and coater but couldn’t get any closer to her look. 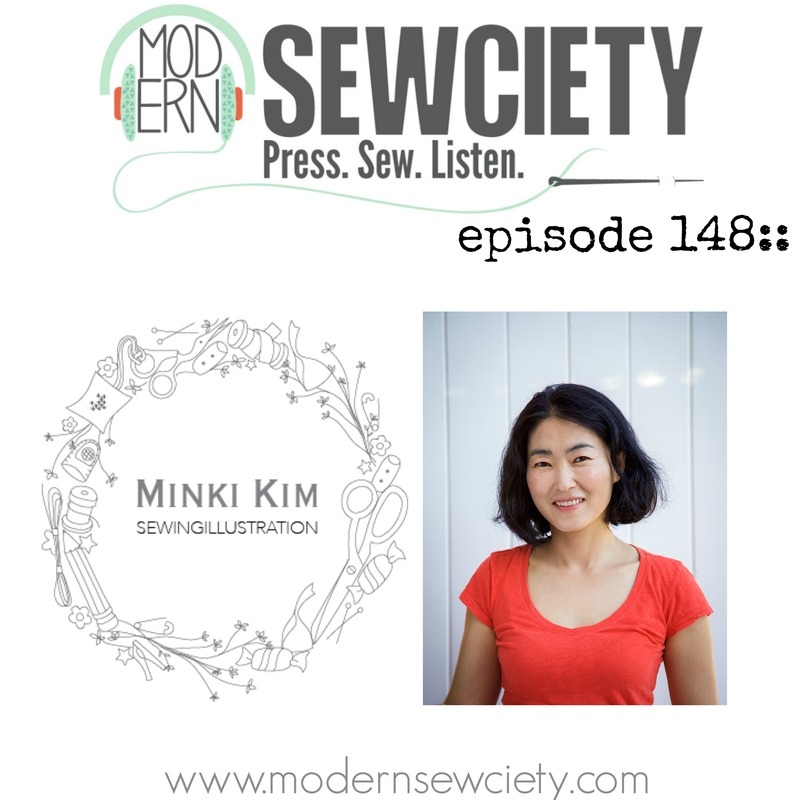 Then Wynn at Zakka Art shared that she was a bit nervous about trying sewing illustration. But she found out that she loved it and that it’s a bit addicting! 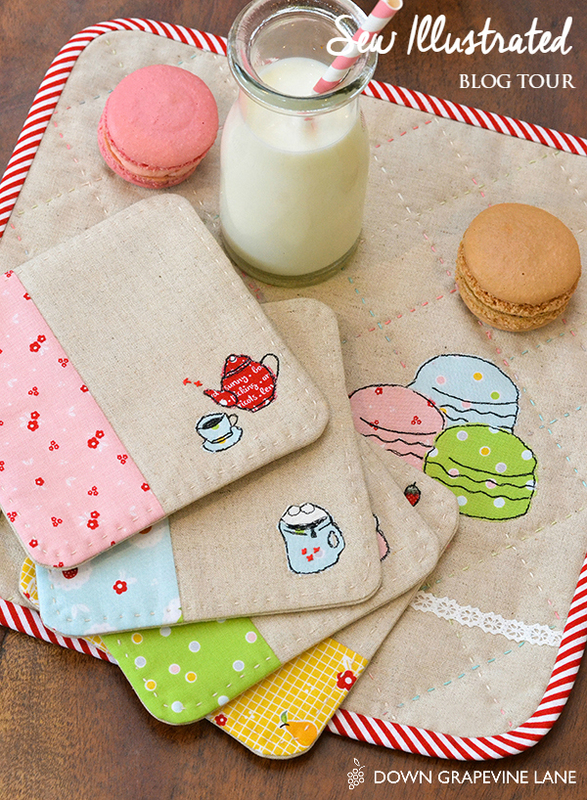 Her coasters are adorable and have her signature style all over them. 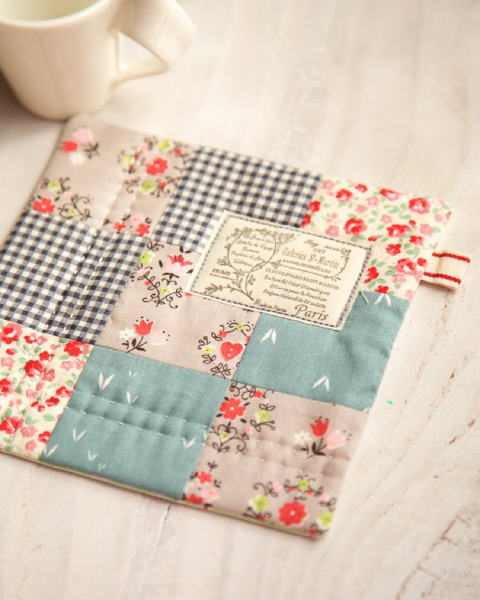 Wynn is an accomplished hand sewist and stitched up one of the coasters entirely by hand—because the designs in Sew Illustration are also perfect for hand embroidery as well. 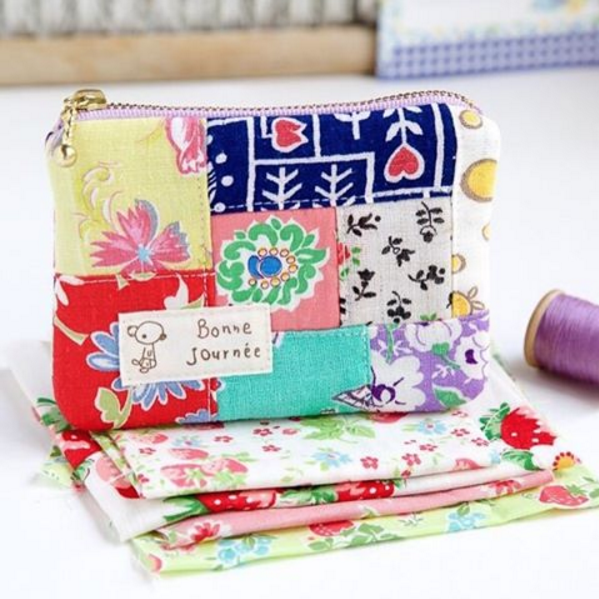 Wynn sent me this lovely zipper pouch that I adore so much. Next up was Sedef at Down Grapevine Lane who created several projects to sweeten up her table using her darling Sweet Orchard line, which will be available this fall. She picked designs from all different projects throughout the book to create her own, one-of-a kind coaster set. 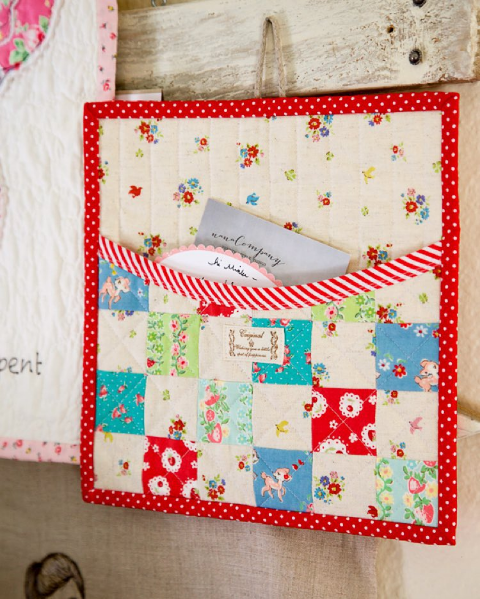 Her line, Sweet Orchard was a match made in heaven for these projects! I have created some projects with her Sweet Orchard. Lisa at A Spoonful of Sugar is the absolute Queen of Fussy Cutting with her makes. 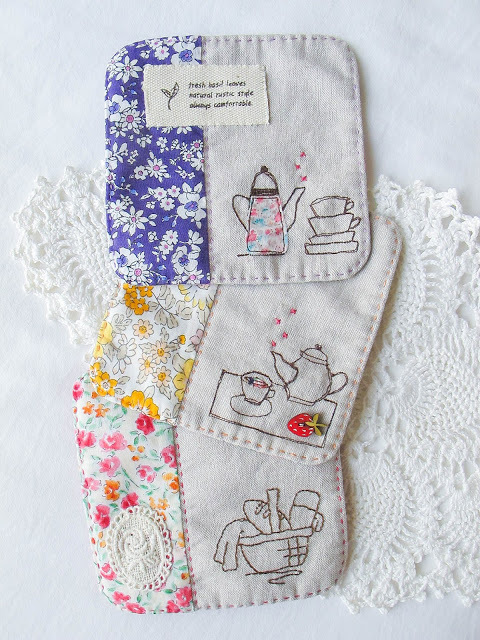 From pincushions to the sweetest tea mat you have ever seen—her skills and fabric choices are simply amazing. I’m not surprised, because I adore her book, A Spoonful of Sugar and have made several adorable projects from it and you should check it out if you haven’t already. Next up was Amy at Chick Chick Sewing. 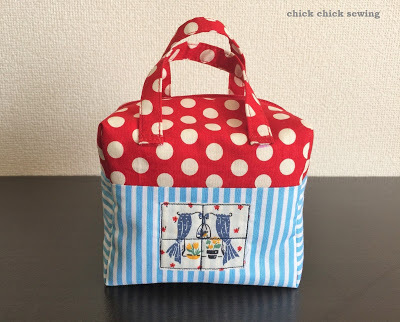 I have admired Amy’s zakka-style makes for years now and I love that she took a project from the book and added her own twist on it to make it unique. 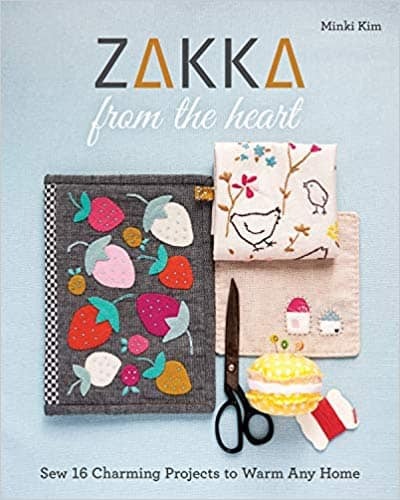 Her book Zakka Handmades is filled with other zakka projects that you can embellish with sewing illustration. And finishing off the first week is the stellar Stacy Olson. 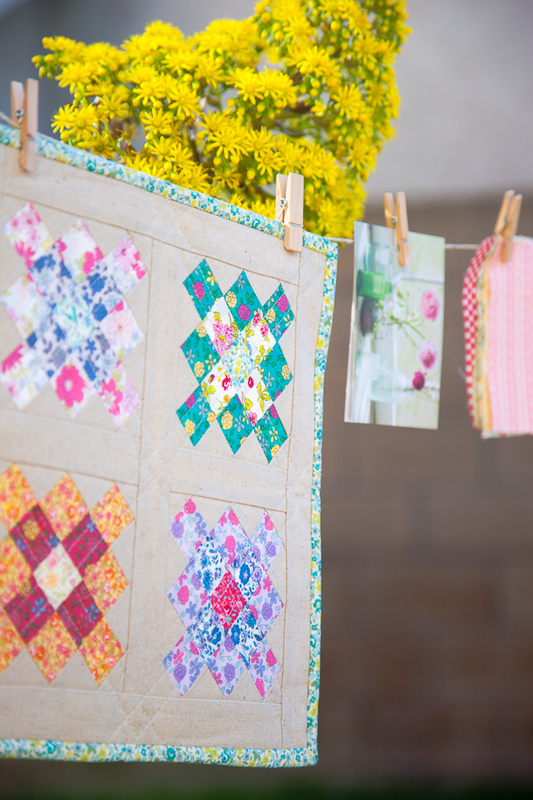 Stacy is a skilled designer and I am the proud recipient of one of her perfect granny square mini quilts—which I treasure! 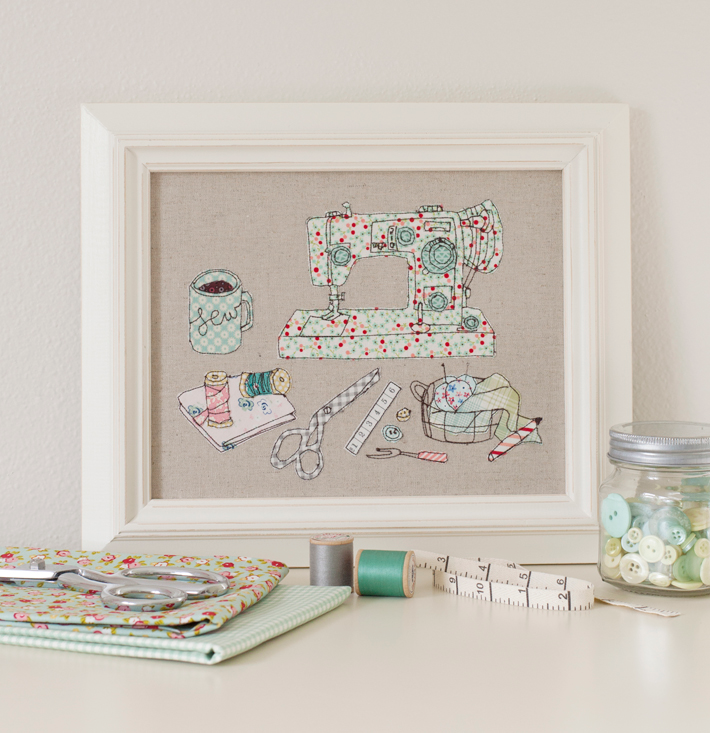 Stacy stitched up some projects for her sewing room and again showed us that you can use sewing illustration to embellish your own projects—adapting the design to fit whatever it is you want to make. 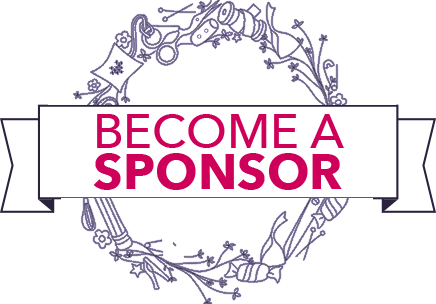 Don’t forget there is a giveaway at each and every stop on the blog tour. So, head over to each of these blogs to enter to win a copy of the book! 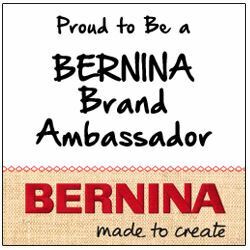 Thank you so much joining us! 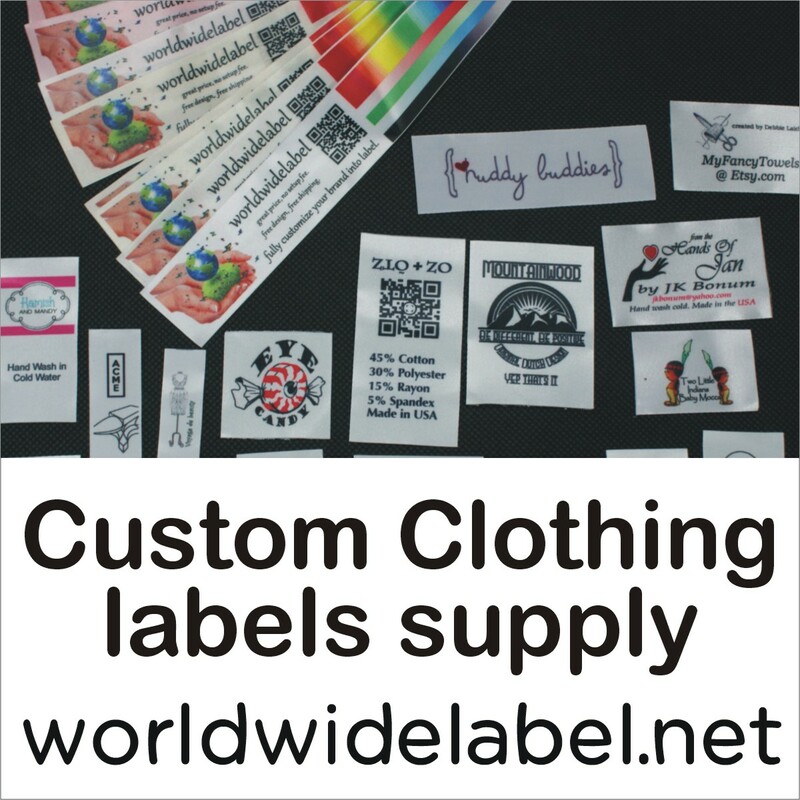 if Any one want New Religious Embroidery Designs ?